Lydia has a basic range of telepathic abilities, allowing her to read minds, detect conscious minds in the area, and engage in psychic combat. While not the most powerful psychic, she’s nevertheless managed to achieve a high degree of control over her abilities, but is still very much learning how to use them to their fullest. She had begun to study architecture prior to her spiking, so she also has a basic knowledge of the subject. The Specialist Psychic Interventions unit is a part of the police assigned to deal with psychics (telepaths, telekinetics, and psychokinetics). One of their primary concerns is handling newly emerged psychics, called Spikes (hence the Spikebreaker nickname for the unit). The emergence of psychic powers can be traumatic for the victim, especially telepaths, and especially in crowded areas. Telepaths tend to involuntarily project their pain to those nearby, and often feel this fed back to them, so if in a crowded area when they snap, it can result in a growing loop which may result in fatalities. Willing telepaths are recruited to the SPI to partner with police officers trained for dealing with psychics, but the selection is based primarily on the compatibility of their minds, as long-term mental connections can be hard to maintain unless the minds happen to be compatible. So the numbers of SPI officers is relatively low, and not all telepaths can find a place with the units. The telepath can use their partner as a remote conduit for their powers, allowing the officer to act as their position for determining the Range of their Powers. The link makes the pair vulnerable to attacks on the other. In DC Heroes terms, if one of the pair takes enough damage to knock them unconscious while mentally linked, the other suffers a Mind Blast at the APs of either the telepaths Telepathy (for the officer, against which their Psi-Baffler offers no protection), or the RAP of the original attack (for the telepath). SPI telepaths work out of the Hive, a spacious building designed specifically for them, with a support staff trained to deal with telepathic problems. While they can take residence elsewhere, most SPI telepaths live in the quarters provided them in the Hive, where their quarters are fitted with psi-tech that blocks their telepathic abilities, allowing them to sleep without the danger of their mind wandering. As a telepath, Lydia is under certain restrictions in public, and must openly wear a badge identifying her as a telepath. Failure to do so is considered a misdemeanour. Since her badge also identifies her as working for the SPI, she’s regarded with slightly less suspicion than regular telepaths, as she’s considered more trained in keeping out of others minds by accident, and telepaths in the Hive are held to a higher ethical standard. While SPI telepaths have Creepy Appearance to reflect this, regular telepaths would have Distinct Appearance, and known rogue telepaths would have Strange Appearance (although both would obviously be able to hide the reason for the reaction). There are laws to prevent telepaths from reading peoples’ minds at random, and spikes have to undergo training periods after they’re discovered, to be capable of controlling their abilities before they’re released back into public. Enforcing these laws is difficult though, as telepathic intrusions rarely leave evidence, so proving such crimes is difficult, which adds to the general distrust of telepaths. While SPI telepaths are allowed to use their abilities to a degree, although only as part of their job, they’re also under strict controls, and can only use their abilities under certain emergency conditions, or if a warrant has been issued. They are permitted to use their powers, at their own discretion, when dealing with spikes or criminal psychics, or in situations where lives are at stake (such as in firefights with regular criminals). While the rules are fairly limiting in how their abilities may otherwise be used, the SPI can be flexible in how officers and telepaths decide to operate as long as their actions aren’t detected. Growing up in a small rural community, Lydia looked forward to visits to the city as treats, and grew fascinated with the variety of buildings there, which sparked an interest in architecture. When old enough she moved to the city to study architecture at its university, staying at her older sister’s place. Marcy had moved to the city some years previous, and was now a police detective. Lydia was at her sister’s place when her psychic abilities awakened, and Marcy was able to subdue her fairly quickly, and got her help. Registered, and realising a normal life was no longer much of an option for her, she enrolled in the SPI unit initiative, since its psychics were slightly less stigmatised than regular ones. Hopes that her sister would be a compatible partner were dashed early on, and she was partnered with Jack Crawford. An attraction developed between the pair during their training, and, against strict regulations, they began a secret relationship. Growing closer, they developed a more intimate psychic bond than usual between partners, which proved too much, scaring both of them. Their relationship deteriorated into bitterness and recrimination, but they were forced to continue working together, and keep the affair a secret so that he didn’t lose his job and she didn’t lose her place in SPI. Usually smartly dressed in public, where she must wear her identifying badge, or casual but smart in the Hive, Lydia is of medium build, and has mid length dark hair, which she’s growing out after cutting back severely when she first gained her abilities. She usually has a serious expression, as though concentrating. While she tries to project a cool, professional image, Lydia is fairly uptight and brittle, generally upset at being unable to live a normal life. She has adapted to a degree, and isn’t as brittle as when she spiked, her life falling apart around her. The only thing that normally disrupts her reserve any more is Jack. She believes that if their relationship came out it would see her thrown out of the SPI, and she can’t lose the modicum more of acceptability that gives her in society, at least in her own eyes. This leads to her easily becoming argumentative with him, even as she hates herself for reacting in that manner. She does have feelings for him, however, and can get anxious if he’s in danger, although these anxieties often just exacerbate her increasingly high-strung nature. While anxious to be able to reintegrate into society, she never really leaves the Hive, feeling so self-conscious in public that she can’t enjoy it, and avoids her family and friends for fear that they’ll look at her differently. Of late she has started to come to terms with her situation, and to accept her role in the SPI, so her not wanting to get thrown out may be as much because she wants the job as the social approval, although she’s yet to fully realize this. Additional information on how telepathy works in the setting is available at Garethlewis.eu (link). 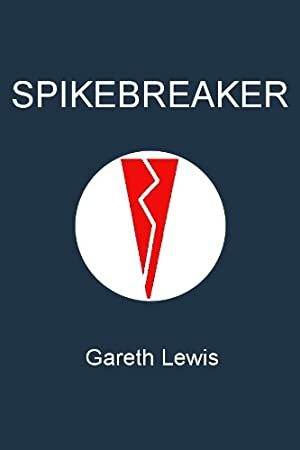 Source of Character: Spikebreaker (short story available for free at Smashwords.